I am very happy as as this is the fourth day of the nail art challenge. As girls we generally tend to like flowers ( well I think we all love flowers :D ). 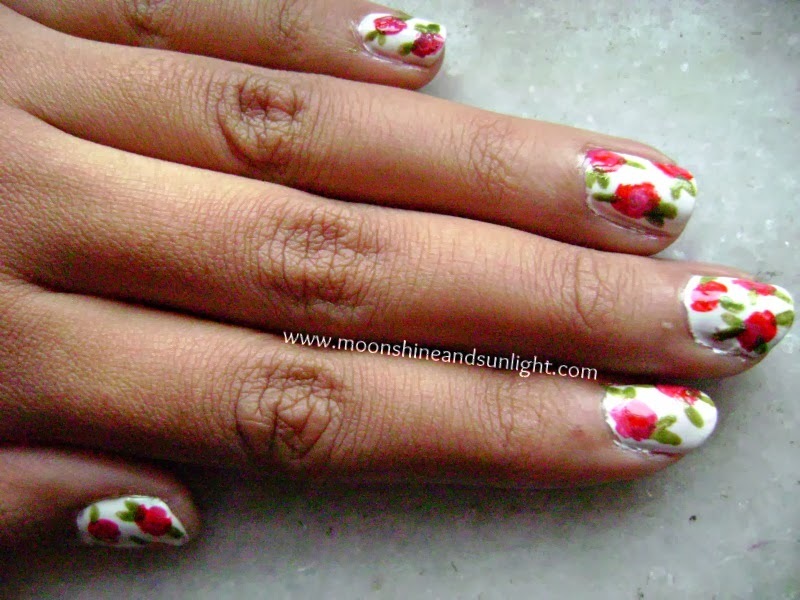 And today it is about flowers on your nails. And specifically for me it is roses ! 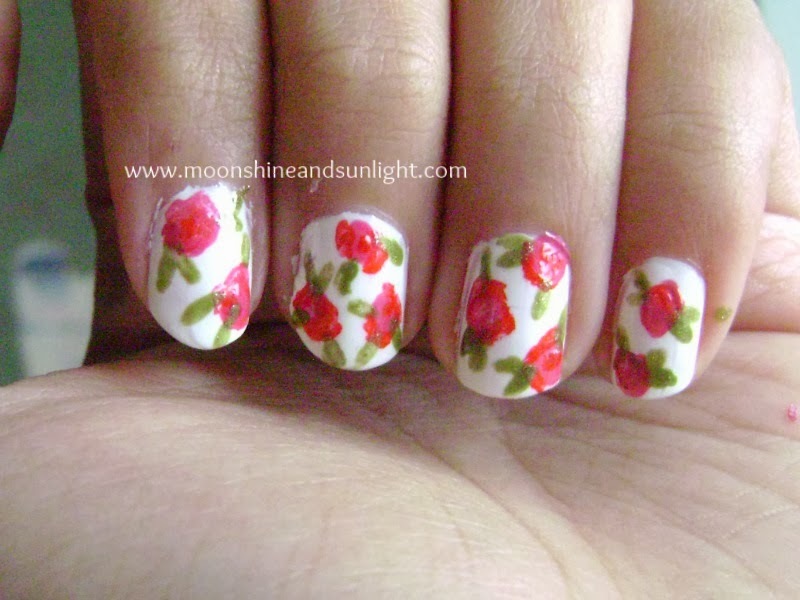 As the first floral nail art I had done was this clumsily done vintage rose nail art ! 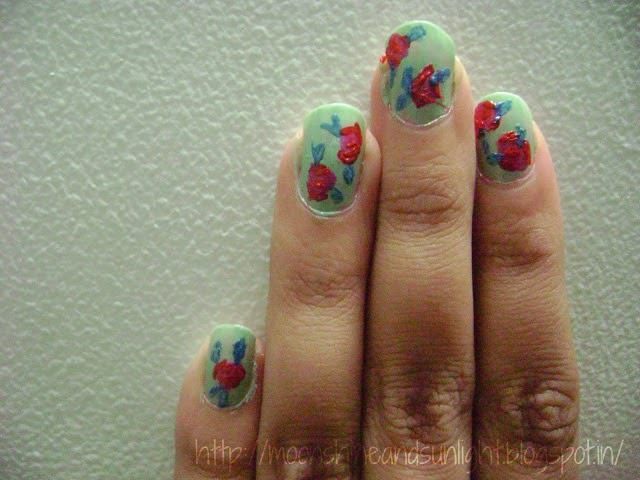 Turned out to be more of an abstract rose nail art! I really need to buy some nail art tools now ! And also at times I think why am I so horrible when it comes to drawing ! It really is frustrating at times when you are not able to draw properly. Well, I did recreate the same nail art one my nails again and turns out this time also there is not difference.I just changed the base color to white ! So this was my entry ! tell me about yours! 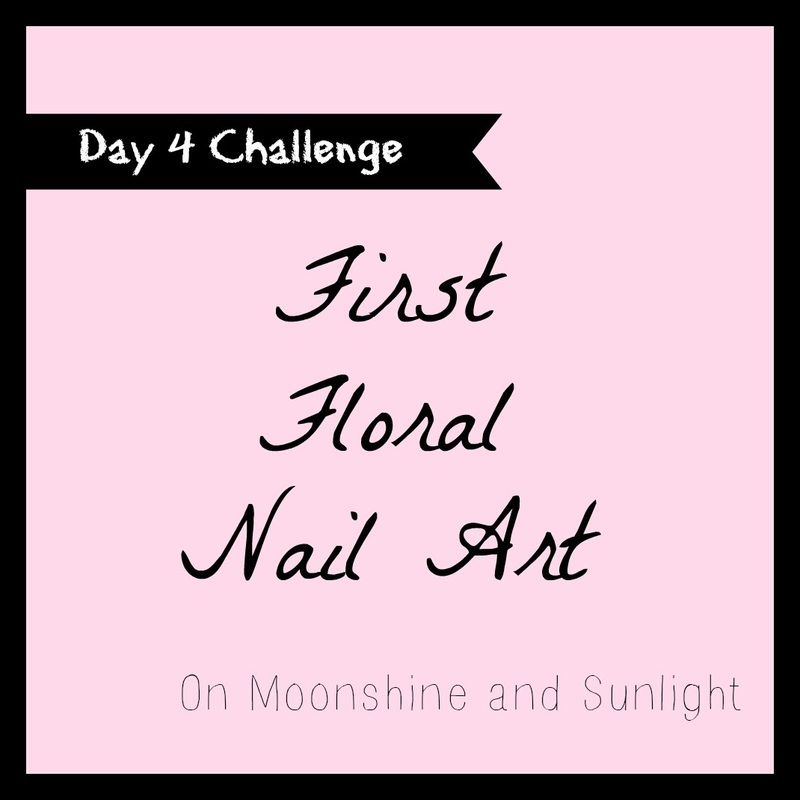 share about the challenge and ask your friends to join in !! I love florals....Very beautifully done dear! 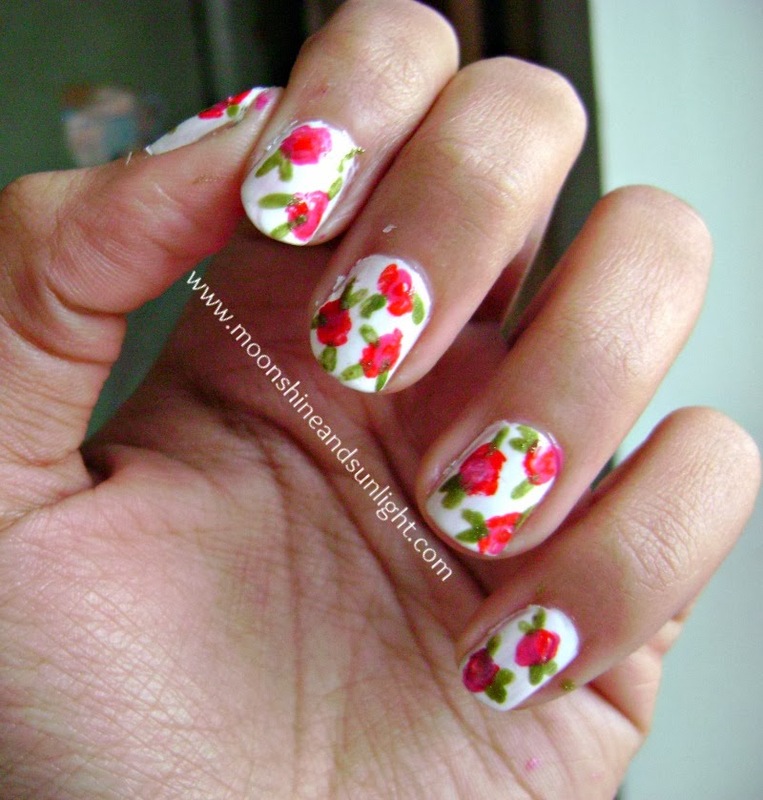 Pretty floral patterns. Very nice. Love Vintage and Florals...Very nicely done. Lovely work. I liked the pink on white.